Following the U.S. restaurant industry trend of encouraging repeat visitation with a freebie and discount bribery, Chili's restaurant chain revamped the structure of its customer loyalty club in 2015 and again in 2016 when it partnered up with Plenti. A points-based loyalty program, Chili's customers are rewarded with points with every Chili's purchase, and accrued points can be redeemed for free food and beverages, not just at Chili's but other participating chains. Points-based loyalty clubs are similar to the customer loyalty programs used by other restaurant chains like Claim Jumper, TGI Fridays, Dunkin Donuts, Jamba Juice, and BJ's Restaurant but the Plenti partnersi]hip goes a step further. Plenti is a rewards program that was created by American Express. Plenti enables users to earn points at one retailer and use them at another retailer enrolled in the program Participating retailers are AT&T Mobility, Direct Energy, Enterprise Rent-A-Car, ExxonMobil, Hulu, Macy's, Nationwide Insurance, and RiteAid. After signing up for the My Chili's + Plenti Rewards Club, customers just provide their registered phone number (or enter it themselves using the Chili's Ziosk on their table, or using the Chili's mobile app). Once registered, My Chili's + Plenti Rewards Club members earn one point for every dollar spent at a Chili's restaurant or with a Chili's delivery or takeout order. When enough points have been accrued, those points can be redeemed for free Chili's food and beverage menu items. You can get anything on the Chili's menu for free using your My Chili's + Plenti Rewards points, but each menu item will cost a different number of points. For example, free chips & salsa or a free side item requires just 30 points. A free entree of your choice requires as much as 150 points. To put the rewards point redemption values into perspective, you'll have to spend $120 before you are eligible for a free Chili's burger or sandwich. Or, loyalty members can redeem their points at any of the other participating retailers and get credit toward a payment/cost of purchase. Just for signing up, new My Chili's + Plenti Rewards customer loyalty club members are credited with 60 My Chili's + Plenti Rewards Points which can be redeemed for free food or beverages immediately. Currently, 60 points are enough for a free dessert or a free kids meal. It only takes 30 points to get a free side dish or chips and salsa appetizer. As an extra incentive, newly registered My Chili's + Plenti Rewards loyalty club members are eligible to earn a free Triple Dipper appetizer plate (sampling portions of your choice of any 3 appetizers). 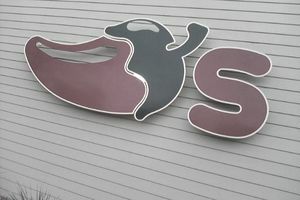 To earn the bonus Triple Dipper freebie, new loyalty club members must make three Chili's purchases in three separate visits within three weeks of the date of their loyalty rewards registration. My Chili's + Plenti Rewards members who provide their birth date at registration also receive a Birthday Club freebie each year. Currently, the Chili's Birthday Club bonus is the choice of a free appetizer or free dessert with the purchase of an entree.